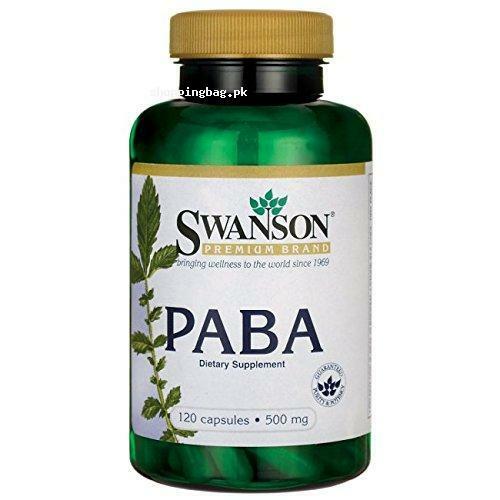 Swanson Paba 500mg Dietary supplement is enriched with B-complex nutrients, which boosts the production of Red Blood Cells in body. On regular supplementation, you will get the energetic body as PABA supplement enhances the supply rate of oxygen to body cells. Buy the 120 capsules pack from Amazon online shopping in Pakistan.